Google Developers Blog: Mentoring organization applications now being accepted for Google Summer of Code! 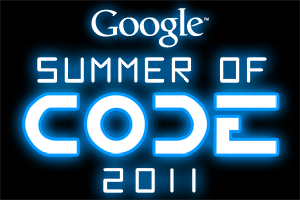 Mentoring organization applications now being accepted for Google Summer of Code! Interested in finding bright, enthusiastic new contributors to your open source project? Apply to be a mentoring organization in our Google Summer of Code program. We are now accepting applications from open source projects interested in acting as mentoring organizations. Now in its 7th year, Google Summer of Code is a program designed to pair university students from around the world with mentors at open source projects in such varied fields as academia, language translations, content management systems, games, and operating systems. Since 2005, over 4,500 students from 85 countries have completed the Google Summer of Code program with the support of over 300 mentoring organizations. Students earn a stipend for their work during the program, allowing students to gain exposure to real-world software development and an opportunity for employment in areas related to their academic pursuits, thus “flipping bits, not burgers” during their school break. In return, mentoring organizations have the opportunity to identify and attract new developers to their projects and these students often continue their work with the organizations after Google Summer of Code concludes. This year we’re excited to expand the scope of the program by encouraging experienced Google Summer of Code mentoring organizations to refer newer, smaller organizations they think could benefit from the program to apply to be mentoring organizations. The deadline for applying to be a mentoring organization for Google Summer of Code is Friday, March 11th at 23:00 UTC (3pm PST). The list of accepted organizations will be posted on the Google Summer of Code site on Friday, March 18th. Students will then have 10 days to reach out to the accepted organizations and discuss their ideas before we begin accepting student applications on March 28th. Please visit our Frequently Asked Questions page for more details. You can also check out the Mentor Manual and timeline for additional information. Good luck to all of our mentoring organization applicants!